Workers spend most of their days “for” and “at” work. It includes waking up early to prepare for the day’s job, usually staying at the work place for eight hours or more, spending overtimes and job time extensions because of the needs of operations, and being stuck on traffic on your way home. If you are a dedicated employee, you need to make sure that the time and effort that you have spent in the office are all worth it. Hence, the compensation that you are to get. Employee timesheets are specifically designed for this reason. 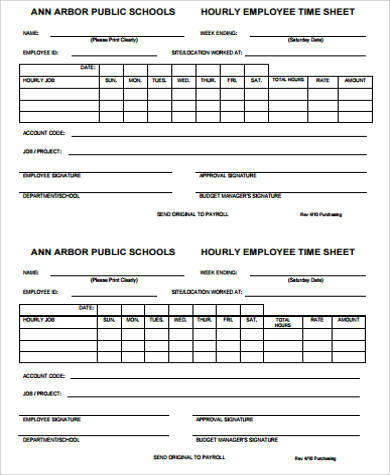 You may use our Blank Timesheet Samples for reference. 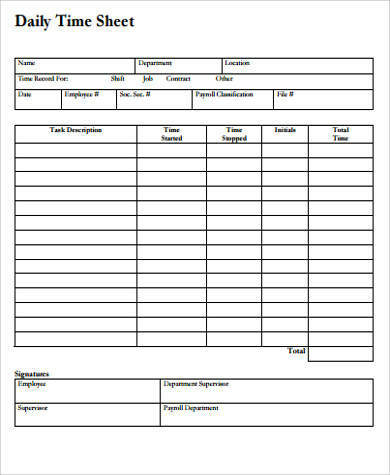 An employee timesheet is a record of an employee’s rendered time at work. It is a method of knowing how long an employee have stayed within the working vicinity. 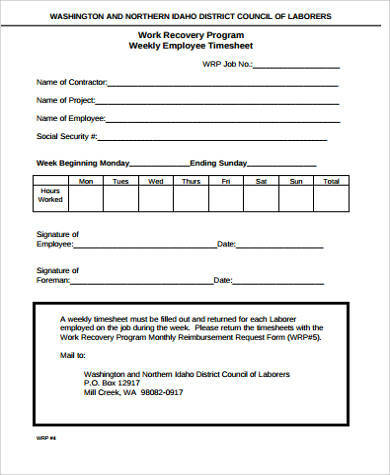 This allows the human resource department to track log in and log out activities that an employee has made within a day that will be used as a reference for the payroll. notes on days where there are special or double pays (eg. holidays). Though, not all companies may include all of the abovementioned items varying on their operational procedures and other company practices. 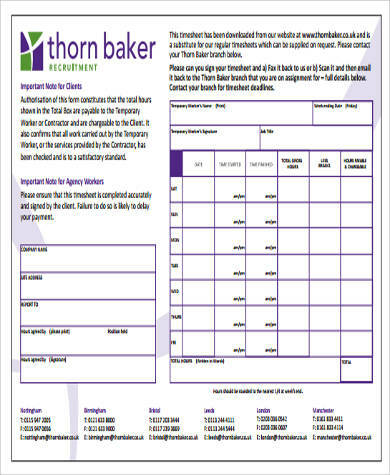 You may take a look at our Consultant Timesheet Samples for specific usage. 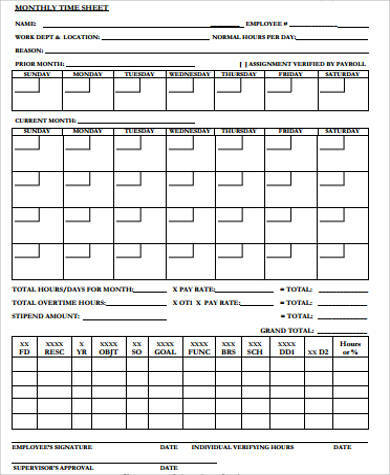 Also, we have Employee Timesheet Calculator that you may use as a reference. 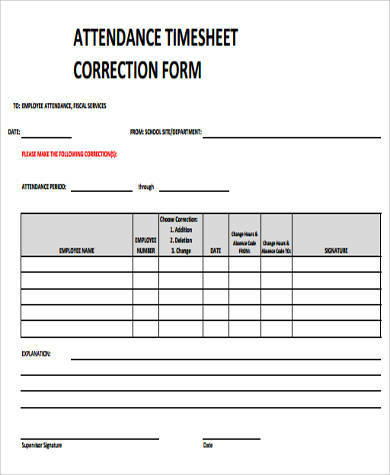 However, note that the computations or calculations of compensation based on the time sheet varies depending on the company where you are working at. 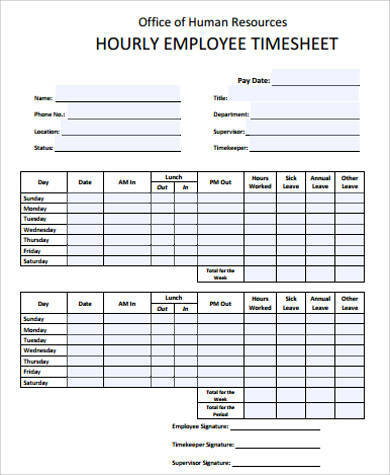 As an employee, you need to be keen in terms of looking at the employee timesheet. Keep in mind that there are other factors aside from payroll creation why a timesheet is made. It may be the basis of your employee performance or one of the items that are needed to be reviewed should you be up for promotion. 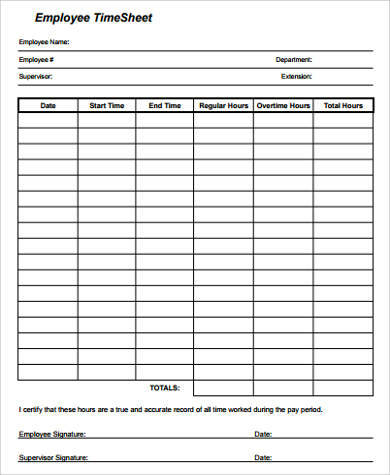 Usually, companies set dates and times where employees can view their timesheet. 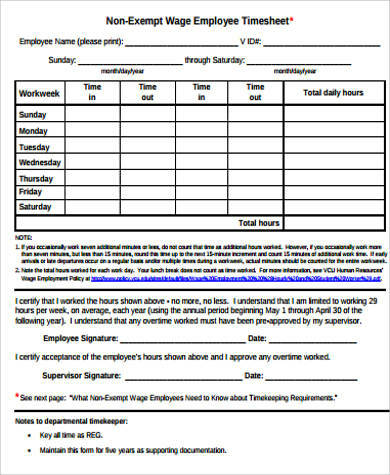 This is for the employees to see if all the records are accurate. 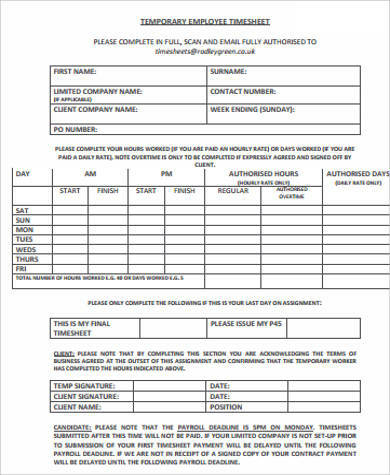 Again, the payment that you will get every date of cutoff depends on this document. 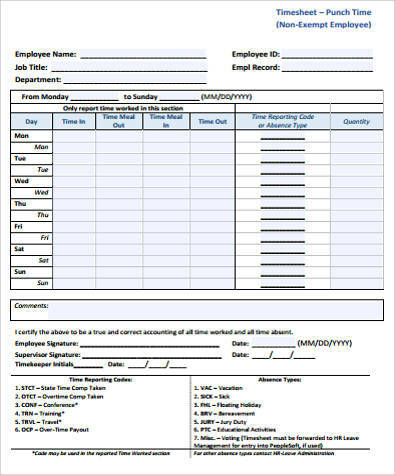 As a suggestion, try to create your own timesheet or just log details of your ins and outs at work so that you have a document that will help you cross examine the details in the timesheet. Aside from samples of employee timesheets, you may also be interested to view Sample Timesheet Calculators.